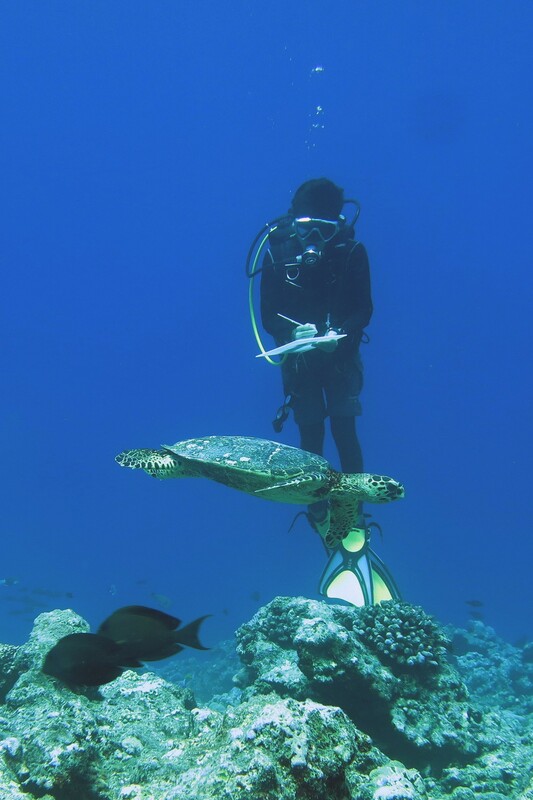 Earlier this month, three marine researchers – Pooja Rathod, Mayuresh Gangal and Chetana Purushotham – launched an ocean-friendly seafood initiative called Know Your Fish to help people make responsible seafood choices. Should you be eating bombil in April? When should you skip bangda entirely? 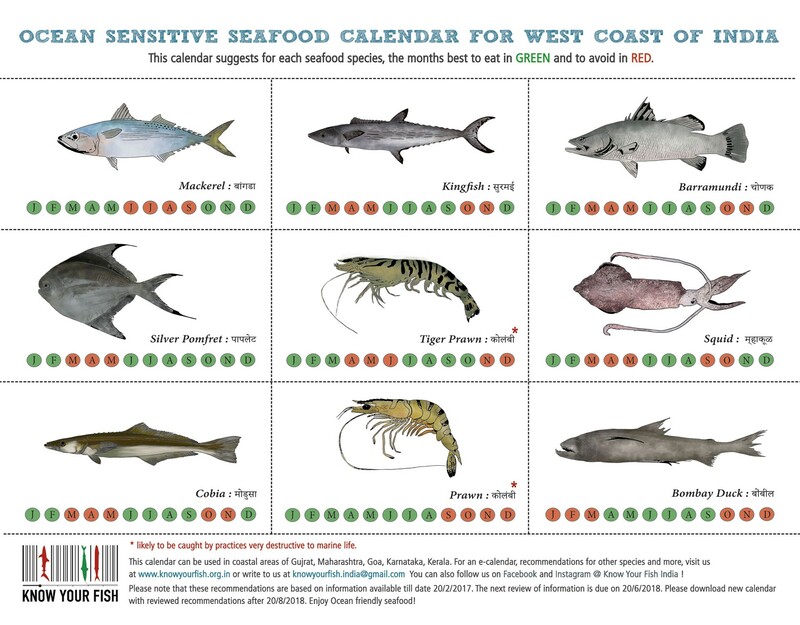 For now, Know Your Fish has a calendar ready for around 30 of the most common species along the West Coast, including Indian Mackerel, Bombay Duck, pomfret, seerfish, squid and ribbonfish. Until now, there was no such resource for fish eaters in India, yet the need for awareness about the seafood we consume has never been greater. Fish are the last wild food, but our oceans are being picked clean, giving marine wildlife little chance to regenerate. In India, the fisheries sector has seen unprecedented growth in the last few decades – in 1950, the total catch landed from both coasts amounted to around 50,000 tonnes. By 2015, that number had increased to 3.4 million tonnes, according to data from the Central Marine Fisheries Research Institute (CMFRI). While that’s positive news for coastal livelihoods and the country’s GDP, it is clear that fish stocks in Indian waters are at greater and greater risk of over-exploitation. 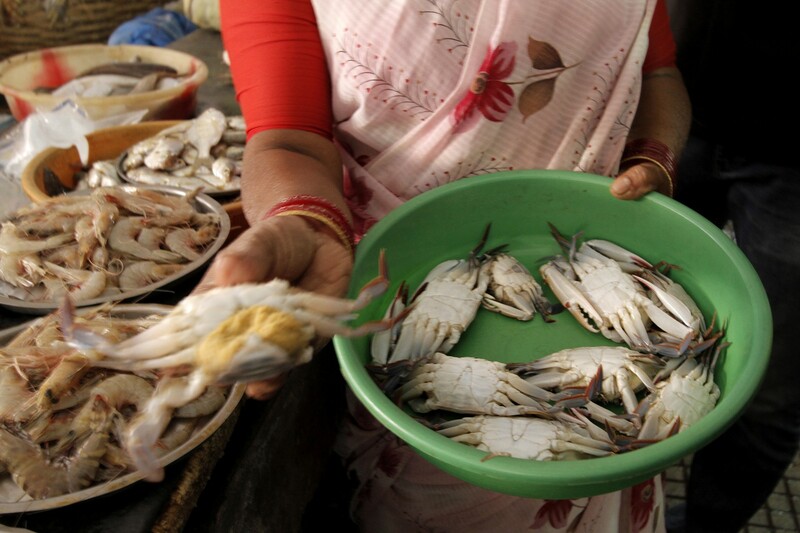 Seafood remains an important source of protein for much of India’s population. Currently, annual per capita consumption is estimated to be around 5-6kg, and that number is only expected to increase. In this interview, the trio behind Know Your Fish tell us more about their initiative, and explain why it is so imperative for consumers of seafood to start making sustainable choices about the fish they eat. This is the first seafood sustainability guide in India. How did the idea for Know Your Fish come about? The idea came about from a random chat with a friend over coffee, where we mentioned that it would be good if restaurant owners avoided selling fish during their breeding seasons, to allow their populations to regenerate from fishing pressure. To our surprise, she contacted one restaurant owner from Goa, Jamshed Madon of Little Italy, and he was ready to serve seafood sustainably, provided we made the information available. We knew this was too good an opportunity to miss, so we started working on a calendar for the fish which he serves in his restaurant. Soon, we realised that since we are already collating information, we should approach other restaurants as well and that’s how Know Your Fish happened. So far, we have partnered with eight restaurants, four in Mumbai and four in Goa. They agreed to display our calendar in their menus so diners can choose the right fish depending on the season. You designed the initiative for restaurants at first. But how does Know Your Fish help serve as a guide for individuals who consume seafood too? Yes, the initiative was started with restaurants in mind. But as we had the information collated, we thought it made sense to make it available to everyone on the west coast through social media, SMS service, and our website. We could also approach supermarkets, corporate canteens and other retail outlets to display the calendar, but we haven’t done that yet. Which are the most overfished species in Indian waters? It’s clear that sharks and groupers have been affected the most by overfishing – but this is worldwide, not just in India. In India, fishermen have reported than Indian Salmon (rawas) stocks have reduced quite a lot; some have said Silver Pomfret catch has reduced too, but these inferences are based on anecdotes, not empirical data. It is difficult to get the data we need because there is no dedicated monitoring program, and government records are not area-specific. Why is it more sustainable to eat lower down in the aquatic food chain – more sardines, less shark, for instance? In fisheries parlance, there is a term called population doubling time. If you fish out half of the fish in a particular population, how much time will that population take to come back to its original size? Species with a shorter population doubling time are naturally more resilient then species which have a longer population doubling time. Mostly, species higher in the food chain are slow-growing and take a longer time to mature, thus they have a longer population doubling time. For example, if you have 100 sardines and 100 sharks, and you catch 50 of each, you’ll have 100 sardines again in less than 14 months. To get 100 sharks will take 14 years. Taking top predator species like sharks, salmon and tuna out of the ecosystem always results in habitat destruction. In the Caribbean for instance, when groupers – who feed on sea urchins – were overfished, sea urchin numbers went up so much that coral was damaged. That’s not to say it’s okay to overharvest squid or prawns, it’s just that the effects might not be as immediately noticeable. What do we know about bycatch in India? There is no reliable data for bycatch. Firstly, the term bycatch itself is confusing. Bycatch generally refers to non-target species which get caught along with target species. Sometimes it gets landed, but most of the time it is discarded in the ocean. What is discarded is never counted or recorded. Also, a species which is bycatch early on in the fishing season, often become a target species later on in the season. For instance, a high-value, target species could be seerfish, pomfret, prawns. At the start of the season, numbers are high, so the sole fish and croakers that are also picked up by the trawlers end up getting discarded overboard because of limited space, and limited ice, or they get sold in the market at very low prices. As the season progresses, when the target catch species declines, those that used to be discarded are brought into the market and sold. Sustainable seafood isn’t just about how much fish is caught and when, but also how that fish is landed. But there aren’t too many consumers of seafood who think about how the fish they’re eating ended up on their table. Could you tell us which methods of fishing are the most destructive? 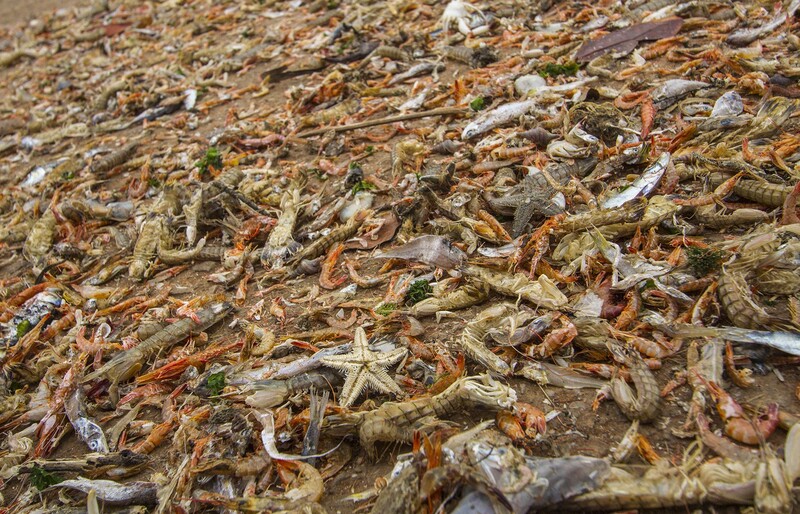 Yes, by and large, there is more waste and environmental damage with commercial fishing techniques. Bottom trawling – one of the most harmful methods of fishing, used for prawns, or benthic fish such as pomfret – has been practiced since the sixties all along the west coast, from Gujarat to Kerala. Bottom trawlers also catch large amounts of already threatened taxa, like some species of sharks and rays, putting them at further risk of exploitation. Alarm bells were first raised in the eighties, but it is still ubiquitous today. Gillnetting and purse-seining can be highly unsustainable too. It is also a matter of scale. Are there plans to expand Know Your Fish to the east coast? What about a guide to knowing river fish species? Or sustainable farmed fish? Not as of now. We need to see how this works first, to understand if this is the right way to do it, or if there’s a better way. We aren’t the experts on river fish, so there are no plans to include those as of now. As for fish farming, it is an expensive venture and not too widely practised in India. As far as the west coast is concerned, nearly all of the fish that is eaten is wild-caught. There are a few prawn farms around, but rarely fish farms, and certainly not enough to make much of an impact. So far, it doesn’t seem like fish farming has the capacity to contribute significantly to meeting the demands of the population. Besides, there are other issues with aquaculture such as the overuse of antibiotics that need addressing. We don’t have a standardised labelling system or sustainability rating for seafood sold in India, as there are in many other countries. Do you think something like this would help consumers make better choices in the future? Labelling for sustainable seafood might not be entirely relevant in the Indian scenario, as the majority of consumers in India don't buy packaged, processed fish. We still go to local vendors in traditional wet markets or directly from local fishermen to get fresh whole fish. In non-coastal cities, some seafood shopping might be done in supermarkets or online, but generally speaking, that’s not the way we buy our fish. Such a system would be more relevant in countries where most of the seafood is imported, and India’s seafood imports are minimal.